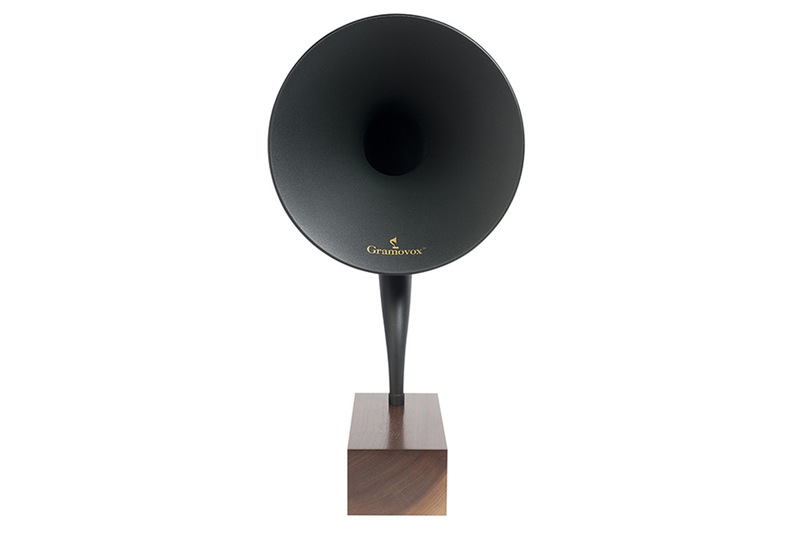 Good old gramophones! 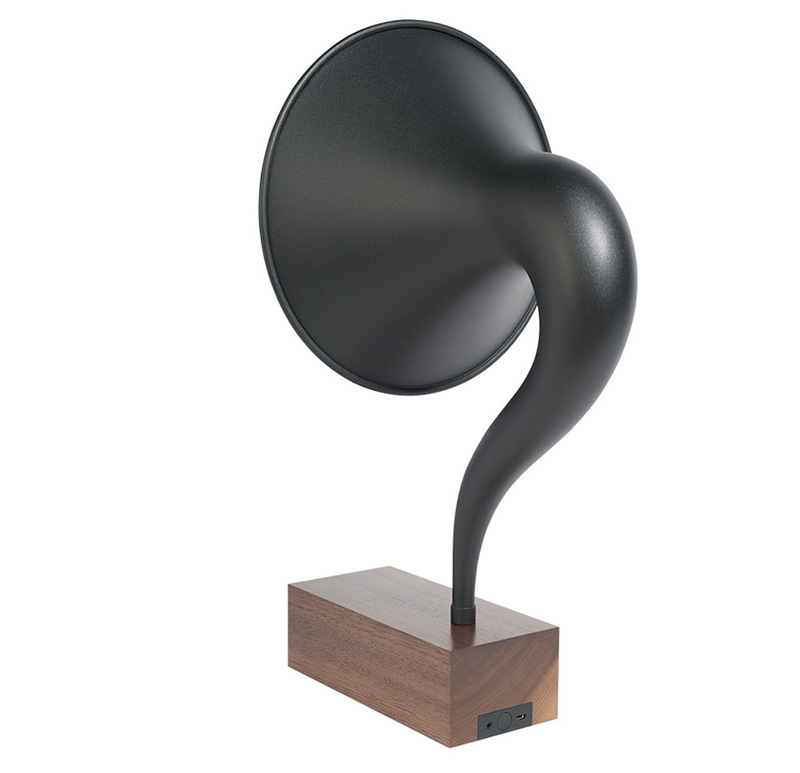 They’re now returned to life through the Gramavox, a Bluetooth gramophone speaker with a classic retro look. 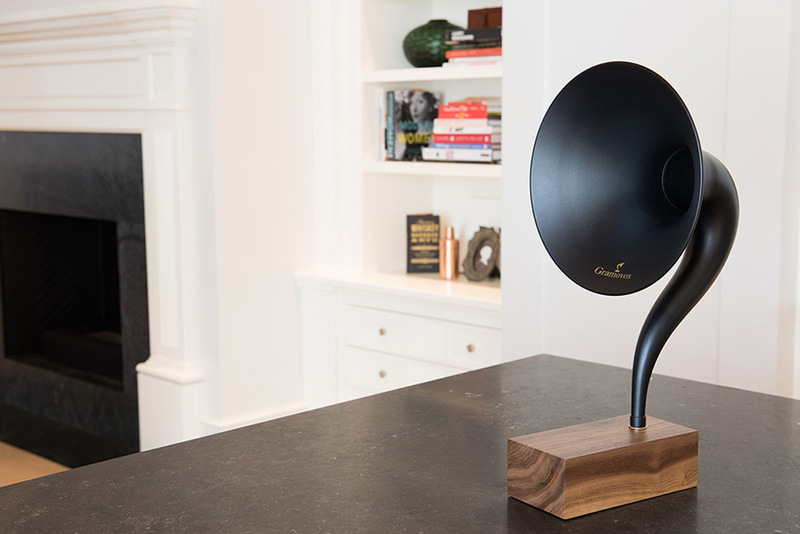 Mounted on a solid walnut base, the Gramovox is a true re-imagining of vintage audio equipment as functional, contemporary art with the sound that’s clean and crisper than the original. 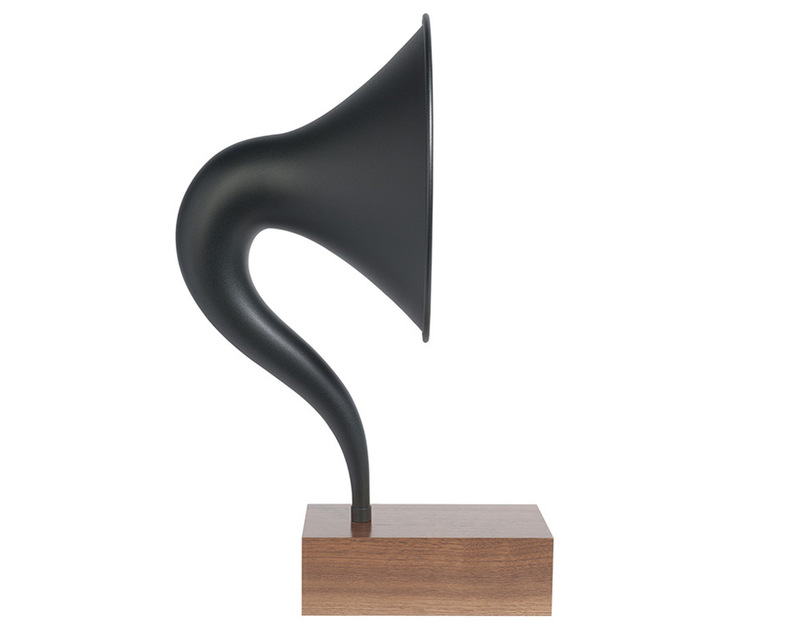 Its S-curve horn is a 3:4 scale reproduction of the 1920s R3 Magnavox horn, which is acoustically-optimized to brilliantly amplify music generated from the wood base. Its base is capped by a 3D printed plate that’s fixed to the unit’s electronics, which include a Bluetooth 3.0 module, a mono 3W driver, plus a large 3,300 mAh Li-Ion battery good for up to 15 hours of play time. 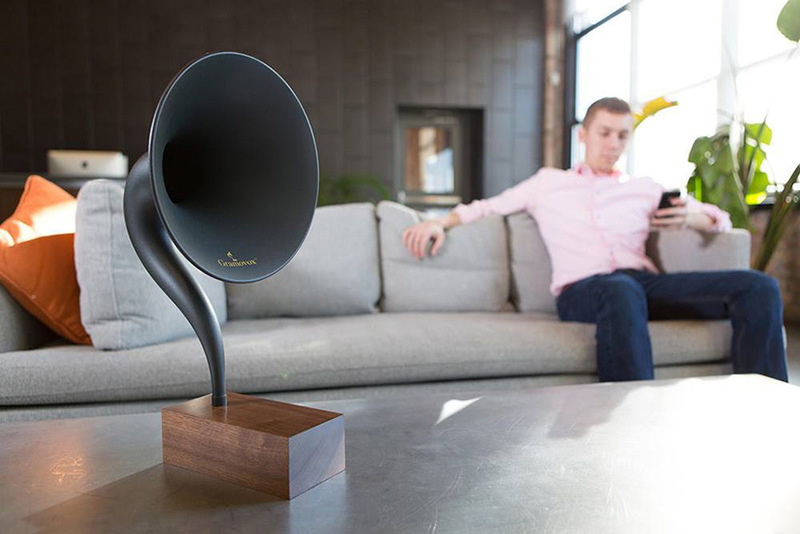 As sound waves propagate through the horn, you experience an organically mid-range, vintage sound. 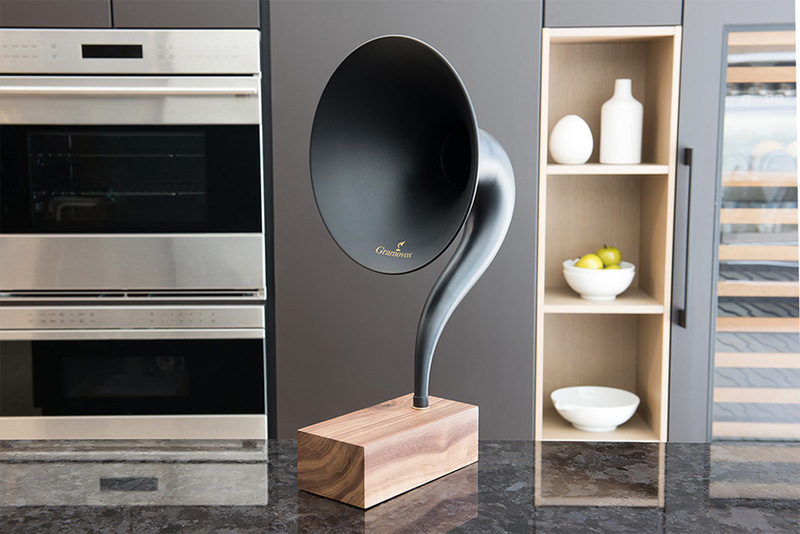 Initially a Kickstarter project, now in production and available for $400.